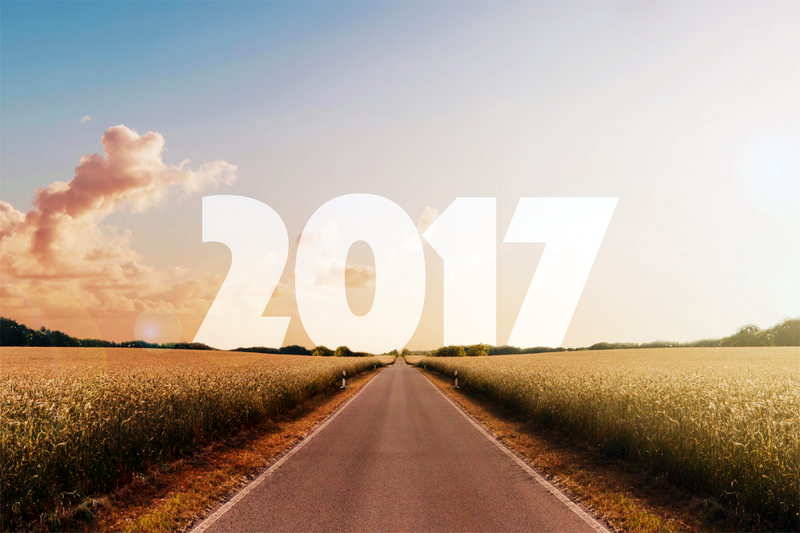 As with every other aspect of U.S. politics and policy, 2017 brought upheaval and uncertainty to the nation’s food system. It was a tumultuous year for food policy in the United States. The year started off with several efforts by the Obama Administration to safeguard efforts at wide-scale food system change—such as the long-awaited formalization of new animal welfare rules in organics and the so-called “GIPSA rule,” which promised to level the playing field for small-scale meat producers in a consolidated marketplace. But once Donald Trump took office, things began to shift rapidly. Just one day before his inauguration, Trump named former Georgia Governor Sonny Perdue as the nation’s new secretary of agriculture. At the time, food systems experts from around the nation expressed concern about Perdue’s involvement with the growth of large poultry facilities in Georgia and his overly religious approach to government, pointing to the fact that he once prayed for rain in response to drought in the state. Many also worried that Perdue and Trump’s shared anti-regulatory stance would be bad for farmers and consumers. Then, in March, Trump proposed $21 million in cuts to the U.S. Department of Agriculture’s (USDA) budget—and some farmers protested cuts to local conservation offices. A week after being sworn in, Perdue announced—during a visit to an elementary school in Leesburg, Virginia—that the agency would “make school meals great again” by getting rid of Obama-era school lunch standards requiring that schools serve more whole grains and less sodium, among other changes. It soon became clear that the USDA itself was changing radically. In September, Politico reviewed the resumes of dozens of Trump agricultural appointees, and found that the president had placed former campaign workers—many of whom had no experience with agriculture, and had worked as truckers, cabana attendants, and landscapers—in the agency. In October, Civil Eats published a wide-ranging look at the changes Perdue had made to the USDA, including a dramatic reorganization. In November, Vanity Fair published a detailed account of story of a group of veteran USDA scientists who had either left or been forced out of the agency over the course of the transition. For all the reasons above and more, concern is mounting about the 2018 Farm Bill, which has been taking shape since Congress began discussions last February. In May, as the agriculture committees in the House and Senate began another round of farm bill negotiations, grassroots leaders gathered to discuss the people, places, and issues that have too often been shut out of funding. Some food-reform advocates have also been pushing to incentivize farms to improve their soil in the face of climate change by linking it to crop insurance, which made up a significant portion of the last farm bill. The Supplemental Nutrition Assistance Program (SNAP), otherwise known as food stamps, and other nutrition programs account for a significant portion of the farm bill (around 80 percent of the initial projected spending in 2014). It’s also always one of the most hotly debated pieces of the legislation. This year, the House agriculture committee considered cutting soda and candy from the SNAP program, but the sugar industry invested heavily to stop it from happening. Despite the popularity of farmers’ markets, it’s also looking unlikely that the national Farmer Markets Promotion Program (FMPP) will be prioritized in the coming bill. In August, Oregon Representative Earl Blumenauer announced his alternative farm bill—a set of proposed legislation that he has been working with farmers, food advocates, and public health professionals to shape. The suggestions are geared toward strengthening efforts to produce healthy food, rather than animal feed and fuel. This has been a roller coaster of a year for the organic industry. As mentioned above, it started off strong with the supposed advancement of new standards for humane animal husbandry that had been long in the works. But with Brian Klippenstein—who had previously been known for his work vilifying the Humane Society of the United States with the group Protect the Harvest—leading the transition process at the USDA and Perdue at the helm, it probably didn’t surprise many when the implementation of the new rules were delayed, re-opened up for comment, and then delayed again. The lack of federal movement on animal welfare did prompt some states to take things into their own hands by banning in-state sales of products from confined calves, hens, and pigs. And in September, the Organic Trade Association filed suit against the agency for the delay. Then, in December, the agency killed the rules and removed them from the federal registry, despite the fact that only 28 of the 47,000 comments the agency received about the issue opposed the new rules. Big questions about the quality of organic foods from overseas also reared their head this year in a big way. Major news stories about the veracity of organic milk and organic eggs fomented doubt among many. And a year-long investigation by the Inspector General revealed weaknesses in the oversight of USDA organic program. The decision, in November, by the National Organic Standards Board (NOSB) to continue certifying some hydroponic and aquaponics operations as organic was also highly controversial among some groups. And while some claim that water-based systems can have many of the same nutritional and environmental benefits as soil-based ones, critics of the move disagree. Not only do they feel that soil is key to organic farming, but they say the move will mainly benefit very large growers like Driscoll’s. All these questions have fed into a larger discussion by a number of farmers and sustainable food companies about the value of advancing a “regenerative agriculture” label. But large questions remain about whether such a label would complement or compete with the current organic label—ultimately sowing market confusion. The confirmation of Scott Pruitt as head of the Environmental Protection Agency (EPA) in February signaled a major shift in the agency’s approach to pesticides. Pruitt—the former Attorney General of Oklahoma—is a diehard opponent of the agency’s regulatory efforts, having sued the EPA more than a dozen times during the Obama administration. In addition to beginning the agency’s move away from fighting—or even acknowledging—climate change, the agency rejected its own science and reversed a long-in-the-works ban on chlorpyrifos in March. The EPA had proposed banning the pesticide back in 2015, due to its association with developmental disabilities in children. In June, it came out that Pruitt had met with the CEO of Dow Chemical just three weeks before the decision. We reported that California lawmakers had the opportunity to reverse the ban, and the state has included the pesticide on its Prop. 65 list of substances known to cause cancer, birth defects and reproductive harm. And while this move strengthens the case for a wider chlorpyrifos ban, so far it seems to support another narrative of California as a rare state willing to defy national trends. And although EPA considered banning the spraying of the herbicide dicamba after it led to widespread crop damage in 17 states, the agency announced in October that it would allow its use to continue with some restrictions. Pruitt’s EPA is also in the middle of a four-year assessment of neonicotinoid pesticides and, despite finding that they pose serious risks to pollinators as well as birds and mammals, it’s not clear whether the agency will move to control their use. Meanwhile the agency also came out saying that glyphosate, the nation’s most-used weed killer, “likely doesn’t cause cancer,” contradicting a 2016 statement by the World Health Organization’s International Agency for Research on Cancer. But officials in the state of California appear to disagree; the state listed glyphosate as carcinogenic in June and Monsanto, the company that makes it, is suing the state. And the E.U. just approved the use of glyphosate for five years—instead of the 15-year extension that Monsanto lobbied for—a timeline that anti-glyphosate advocates hope will give them time to find less-harmful alternatives. In May, the President signed an executive order to rewrite (i.e., begin roll back) the “Waters of the United States” (WOTUS) rule, making good on his promise to industrial livestock producers on the campaign trail not to regulate the waste from concentrated animal feeding operations (CAFOs). The EPA also began working to rescind the rule in June. Pruitt has also been said to be “carrying out his agenda in secret” by the New York Times; he was found just this month to have hired a Virginia-based public relations firm known for working with the Republican Party to track press activity as it relates to pesticides, climate changes, and other key issues. The contract ended after an exposé in Mother Jones, however. Americans have yet to see a border wall, but the Trump administration’s crackdown on undocumented residents had a big impact on the food and farm world in 2017. Farmers across the country reported labor shortages that have cost millions and some experts point to the likelihood that the H2A guest worker program will grow in the coming years, creating a climate that would be rife with farmworker exploitation. A group of Democratic senators—including California’s Kamala Harris and Dianne Feinstein and Patrick Leahy of Vermont—introduced a bill that would create a Blue Card designed to protect farmworkers from deportation in May. But the political will to move it forward appears to be lacking. Many young food and farm workers also have been living in fear of losing their livelihood as the administration moved to roll-back the Deferred Action for Childhood Arrivals (DACA) program. Other parts of the food system are also getting hit hard. One immigration raid at a Chicago bakery (for a major supplier of McDonalds’ hamburger buns) lost 800 employees, while another group of undocumented bakery workers in New York have been holding public demonstrations against their employer for preemptively firing them, prompting important questions about what responsibility employers have to their workers in this new era. We have yet to see exactly how the recently-passed GOP tax bill will ultimately impact the Affordable Care Act, but the prognosis is not good. Earlier this year, when the debate around healthcare was actively raging, we looked at how farmers had benefited from the ACA, and how they might fare if their access to health care was taken away. Although it was much less discussed, the Obama-era approach to healthcare also played a significant role in feeding the hungry around the country in recent years, prompting the question: Will more people go hungry if we lose the Affordable Care Act? According to Mother Jones, the recently- passed tax bill could cause farmers relying on Obamacare to pay more for health insurance. In June, Trump pulled the U.S. from the Paris Climate Accord, refusing to meet the new emissions standards enacted by former President Obama. In March, young farmer advocates also re-introduced the Young Farmer Success Act, which offers a path to student-loan forgiveness for farmers who commit to a decade in the profession. The bill would amend the Department of Education’s Public Service Loan Forgiveness Program as part of a re-authorization of the Higher Education Act. In late November, five months after Perdue initially promised to walk back several Obama-era changes to school meals, the USDA released an interim rule allowing schools to serve flavored 1-percent milk and get a state exemption to serve bread, pasta, tortillas, etc. that are not “whole-grain rich” (i.e., contain at least 50 percent whole grains) through the 2018-2019 school year. It also puts a stop to efforts to reduce sodium in school breakfasts and lunches. Despite Trump’s copious campaign promises about revamping NAFTA to benefit working Americans, the administration’s decision to step away from this year’s negotiations have left many family farmers in a state of limbo. After the state’s new Democratic governor vetoed a bill to limit plaintiff compensation in CAFO nuisance lawsuits, the GOP-controlled legislature overturned the veto in short order. Many counties are switching to oil and gas production as coal’s fortunes wane, but farms, food hubs, and community kitchens may keep rural areas alive. Support from readers like you is what keeps Civil Eats going. Please consider making a year-end donation or signing up for an annual subscription if you haven’t already. Thank you from the Civil Eats team! So many dangerous and damaging policies! On Tuesday, January 16th, Roots of Change, CA Food and Farming Network and the California Food Policy Council will release the 2017 CA Food and Agriculture Legislation Tracker and Legislators Scorecard. These documents reflect the analysis and assessment of nearly 40 organizations in California focused on food system policy change. The report reveals that although some progress was made, the public-health perils born of dysfunction in agriculture and food production are still inadequately addressed by policy makers here in California. The Tracker also reveals that related to immigrant protections and climate change, California is clearly battling the Trump Administration. This is all so depressing, no shame or integrity ever existed in those rich, selfish, narcissistic people's minds. Just a disgrace to humanity, really.